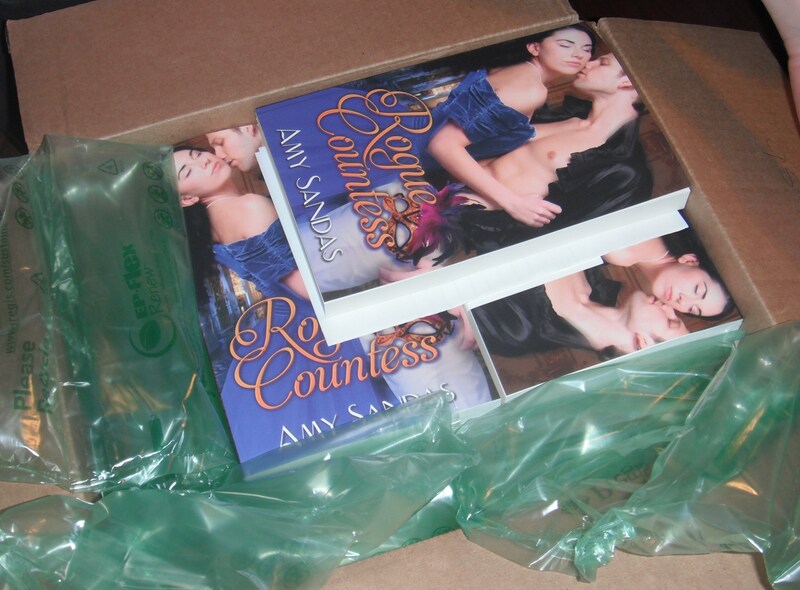 My Advance copies of Rogue Countess are finally here! It is difficult to describe the feeling of holding your very first novel in your hands. In fact, I was planning on doing just that in this post, but I find myself still struggling to really explain what that moment felt like as I looked into that box and saw my novel, mine, with my name on it, staring up at me in all its rich vibrant color and heady sensuality. Perhaps I am still processing the experience. And with the official release date still a few weeks away (June 4th, mark your calendars! ), I expect more excitement ahead. And I can’t forget… Reckless Viscount also releases in ebook from Samhain Publishing on June 4th. So much to look forward to! Coming soon, I will be posting a deleted scene from Rogue Countess which was actually the first introduction of Leif Riley, the unlikely hero of Reckless Viscount! as a featured e-book on their site. Rebel Marquess has been picked up by Samhain Publishing. This is the third novel of a series and follows Rogue Countess and Reckless Viscount. I am so thrilled that Rutherford’s story will be told! …now, to get it finished.